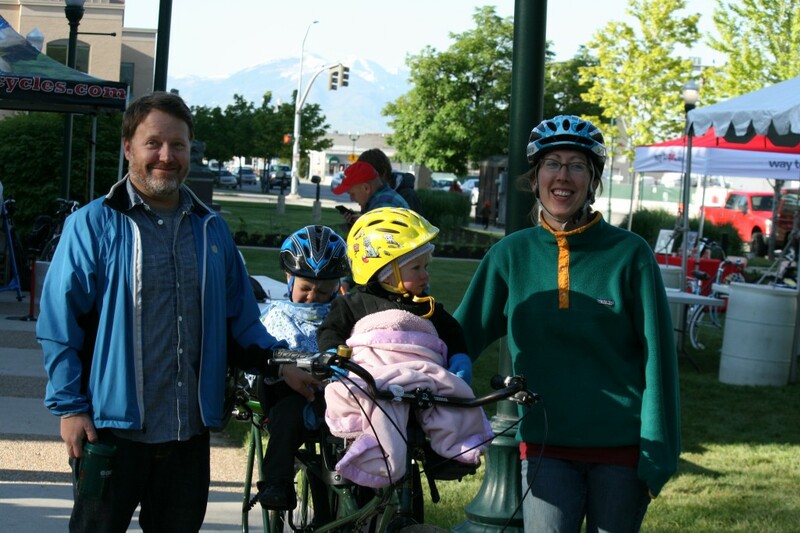 Much fun was had by the young and young-at-heart at this week’s Provo Bicycle Carnival. 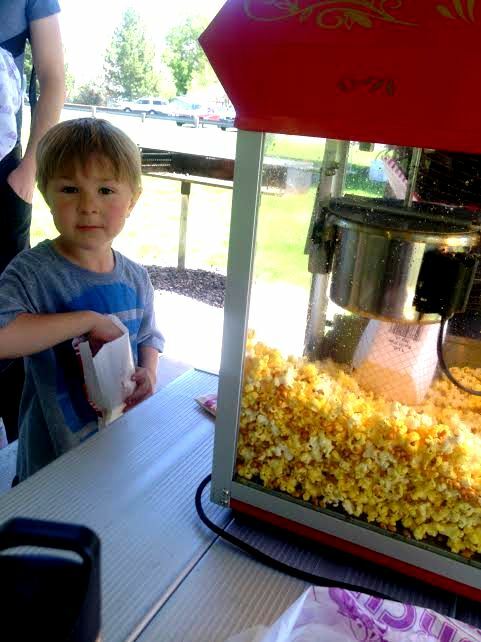 Families enjoyed lunch time snacks from Macarollin’, Kona Ice, and Corndog Commander food trucks. 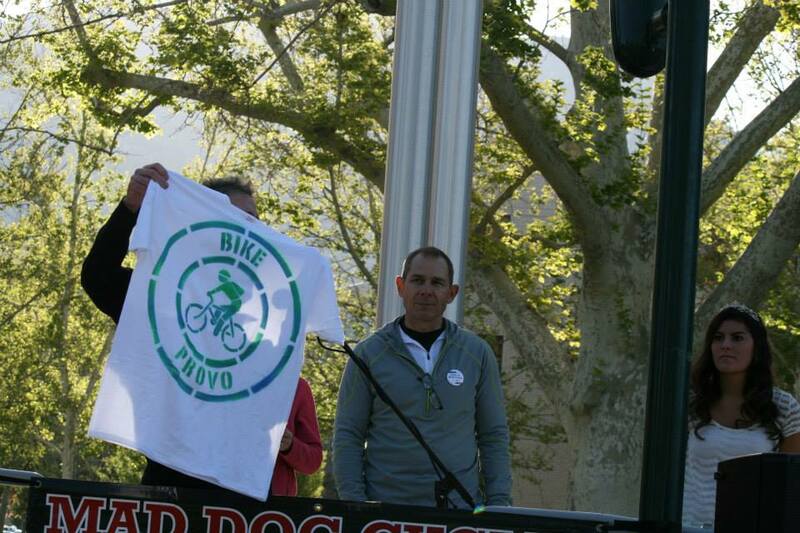 But, probably the biggest hit of all was the Bike Provo t-shirts. They were sprayed in all kinds of colors and designs. 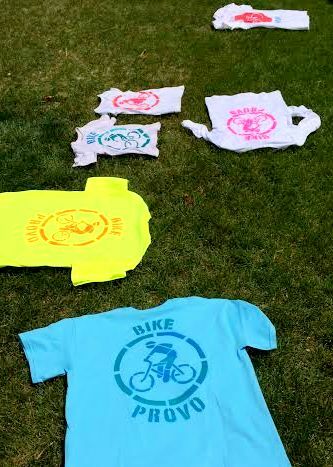 Take a look around next time you’re out biking and see if you can spot one of these spray-art shirts. 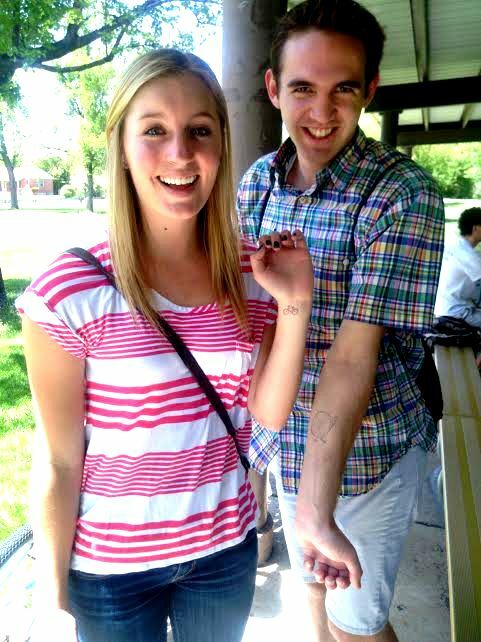 Thanks, all, for coming to the very first Provo Bicycle Carnival. Hopefully, we can make this a city tradition. 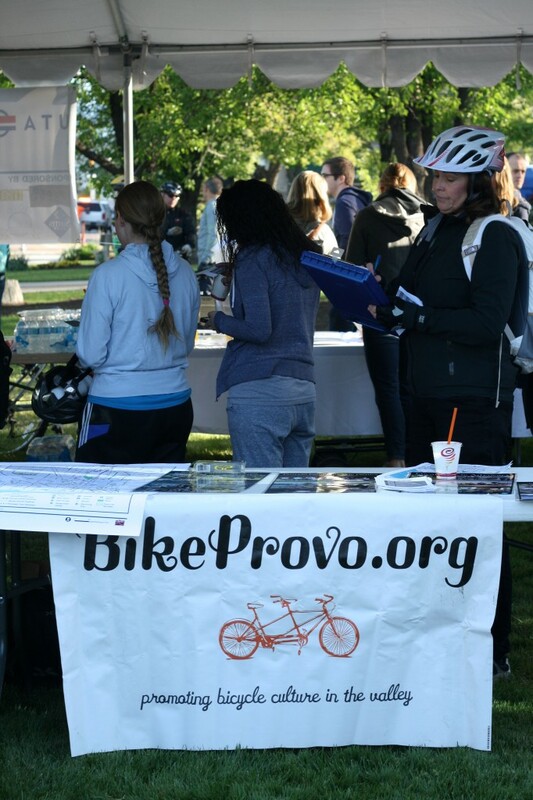 For even more pics, take a look at the BikeProvo Facebook album. 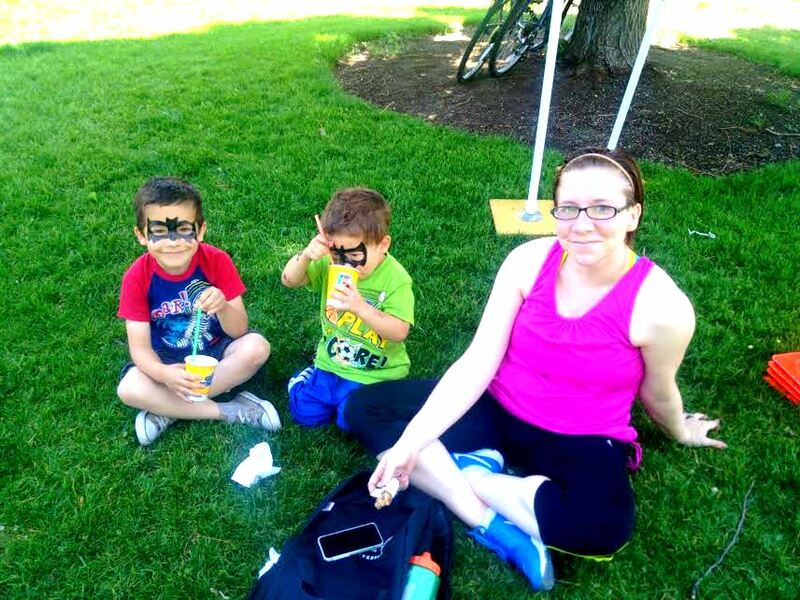 Provo Bicycle Carnival This Saturday (5/17) Food Trucks! Popcorn! Bike Shirts! 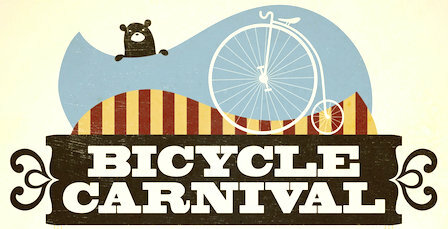 Bring your family and friends to celebrate bikes carnival-style! 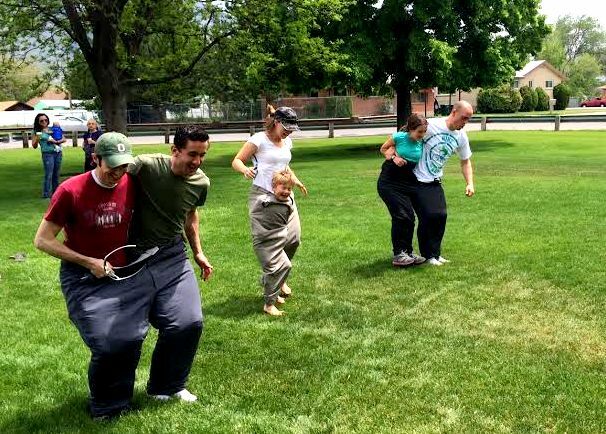 Gather at Exchange Park, just off the Provo River Trail. (Parking is also available). There will be FOOD TRUCKS (Macarollin’, Kona Ice, Corndog Commander), free popcorn, carnival games, prizes, temporary bicycle tattoos, and much more. 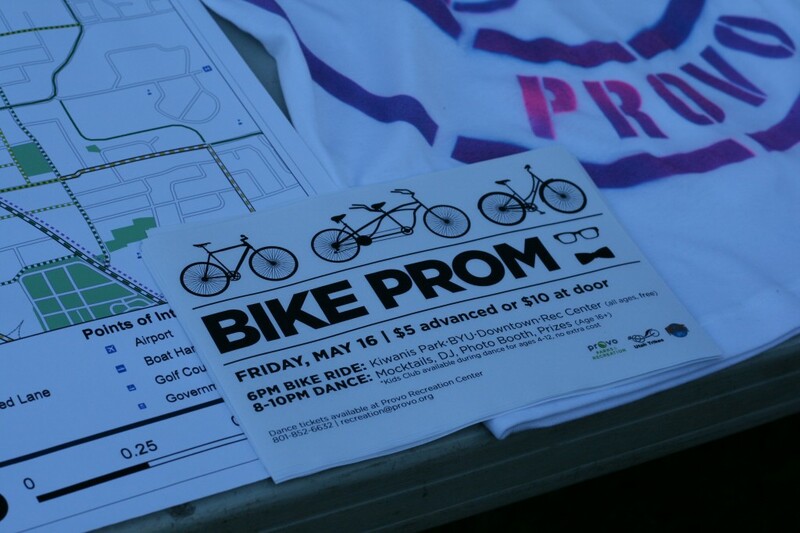 You Seriously Don’t Want to Miss Provo’s Bike Prom on Friday! Okay, guys, here’s the hard sell: this Friday’s Provo Bike Prom will be a weirdly magical night, the memories of which will be told throughout our neighborhoods for decades to come. And you can be a part of it. What do bow ties, flowers, and bike pumps have in common? The Bike Prom! 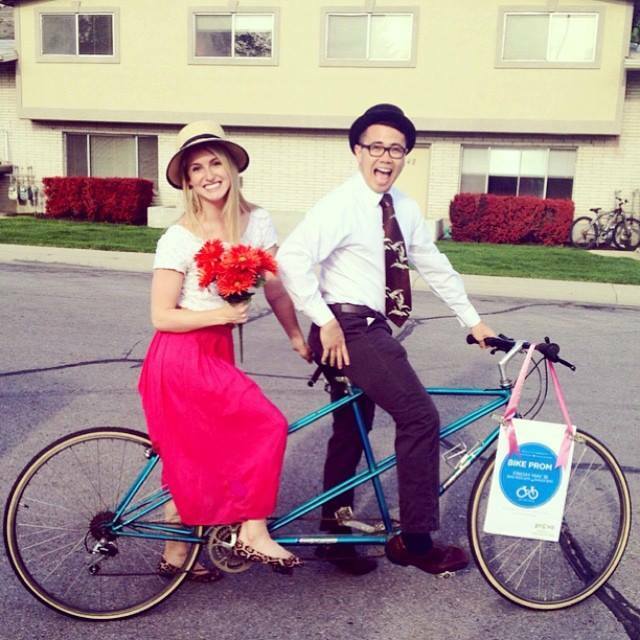 Ask a date, your spouse, or friends to Provo City’s first Bike Prom at the Provo Rec Center. Take a leisurely ride together through Provo to visit some local iconic sites. Then finish the night with dancing, a DJ, desserts, mocktails, and a free photo booth (ages 16+…including college students, grown-ups, in-love grandparents, etc.). Need babysitting? Kids Club available for children ages 4-12 during the event, no additional cost. Tickets are $5 in advance and $10 at the door. To sign up click here or visit provo.org/signup. 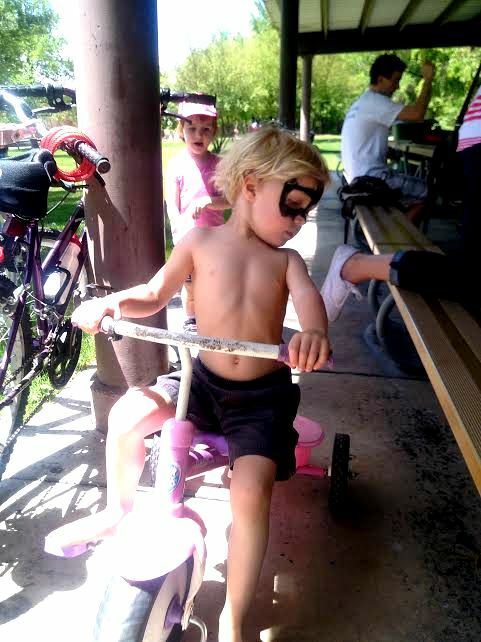 Meet at Kiwanis Park (820 N 1100 E) 6:00pm for a stylish ride around town. ‪Dance 8-10 at the Provo Rec Center (320 W 500 N) for ages 16+. More event details on the Mayor’s blog. The Provo Bicycle Committee is pleased to announce the recipient of the third annual Golden Spoke Award. The award is presented to a Provo cyclist who exhibits a commitment to bicycling on a daily basis all year around. It is called the Golden Spoke because each bicyclist is like a spoke in a wheel that helps make Provo a more bicycle friendly community. Each of us can advocate for bikes, more bike-friendly complete streets, bike lanes and trails, and most importantly each of us can bike wherever and whenever possible. 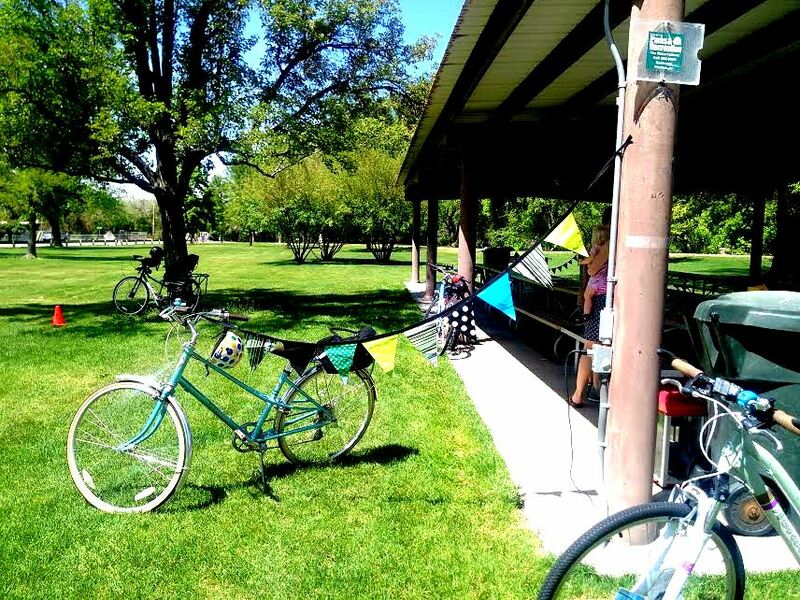 Starting this year, the Provo Bicycle Committee will present this award twice a year–once at this event each spring, and once in the late fall at a city council meeting. This year’s recipient of the Golden Spoke Award is David Harding. 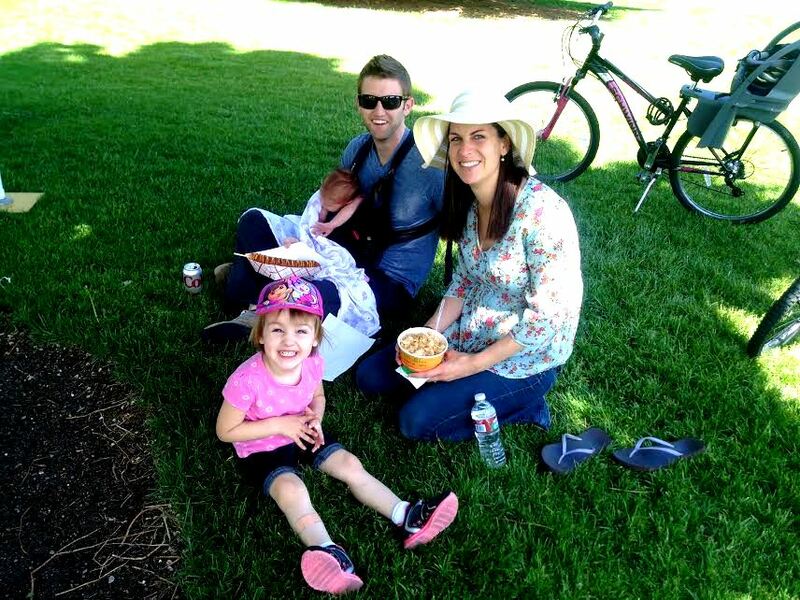 When David, his wife Julia, and their children decided to move to Provo eight years ago, there was one variable on David’s list of house-hunting criteria that should be a priority for any one relocating: he wanted to find a house within a reasonable distance of his place of employment so that he could bicycle to work. That distance is different for each person, but for David it is 6 miles from his home in the Dixon Neighborhood to his work near University Parkway and Geneva Road. On his road or mt. bike, David commutes to work by bicycle year-round despite the absence of an ideal bicycle route. Sometimes he rides part way with his two oldest children, who have followed their father’s splendid example and regularly ride to school on the Grandview Hill. David does not just personally walk the walk, or in this case bike the bike, but as the neighborhood chair of the Dixon Neighborhood and especially as a member of the city’s Transportation and Mobility Committee, has publicly sought to make Provo a more bicycle- and pedestrian-friendly community. As a key member of that committee, David was an outspoken advocate of the city adopting a robust and ambitious Bicycle Master Plan, which the city council approved in March. We thank him for his example and service both private and public and honor him with the spring 2014 Golden Spoke Award. We’d like to express appreciation to Canyon Bicycles, Mad Dog Cyclery, and Racer’s Cycle Service for each throwing in some nice swag for this year’s Golden Spoke Award. 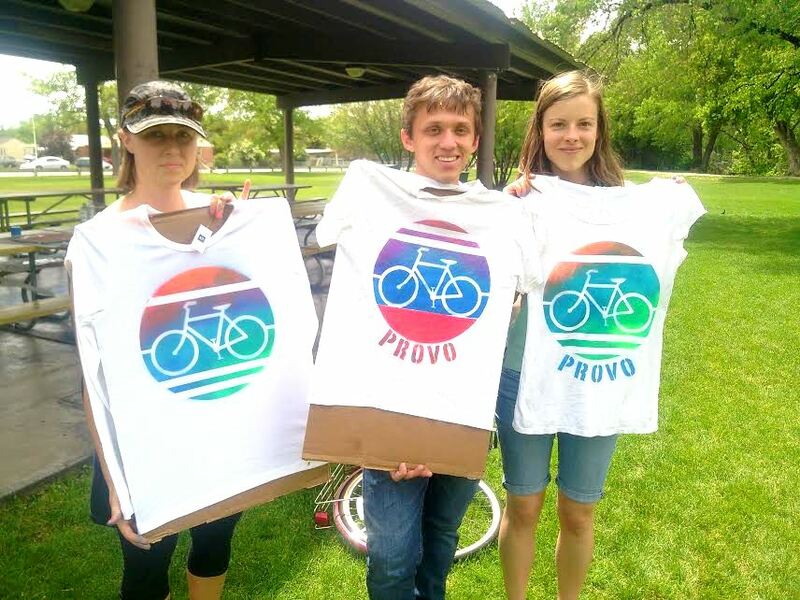 The Provo Bicycle Collective also threw in a year’s membership. Many thanks! 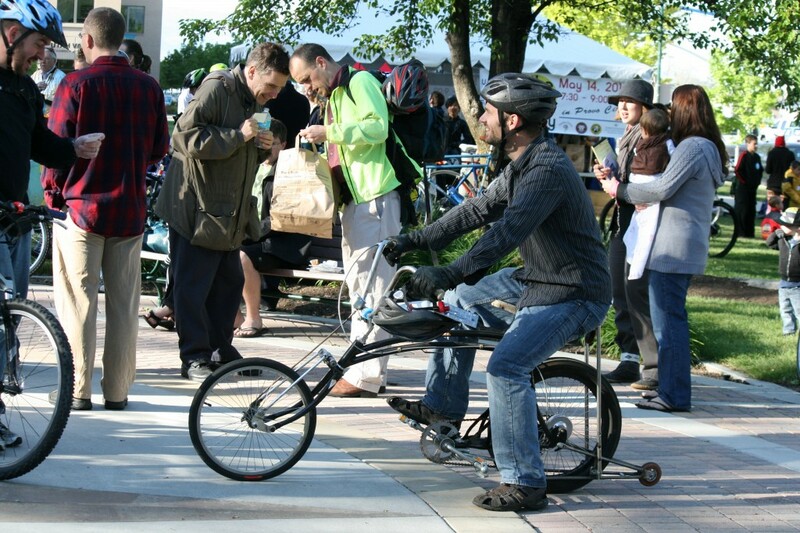 This morning’s “Roll with the Mayor” Bike-to-Work Day celebration was one of the best yet. If your picture isn’t here, it just may be on the collection of almost 100 snapshots on the Facebook page. Go take a look. 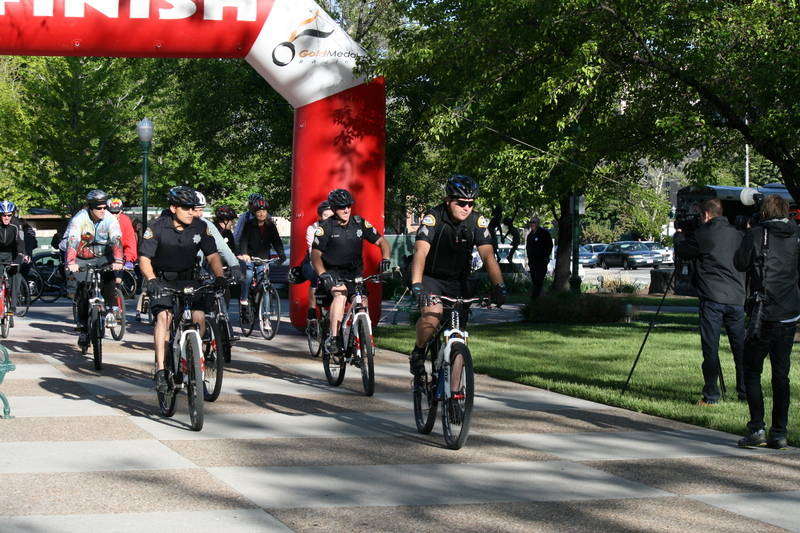 Mayor Curtis and the Provo City Police Department led the way on an upbeat ride around downtown. There were bicycles and riders of all kinds…commuter cyclists, kids on their way to school, parents with babies in trailers, college students. So many organizations came out to help celebrate. 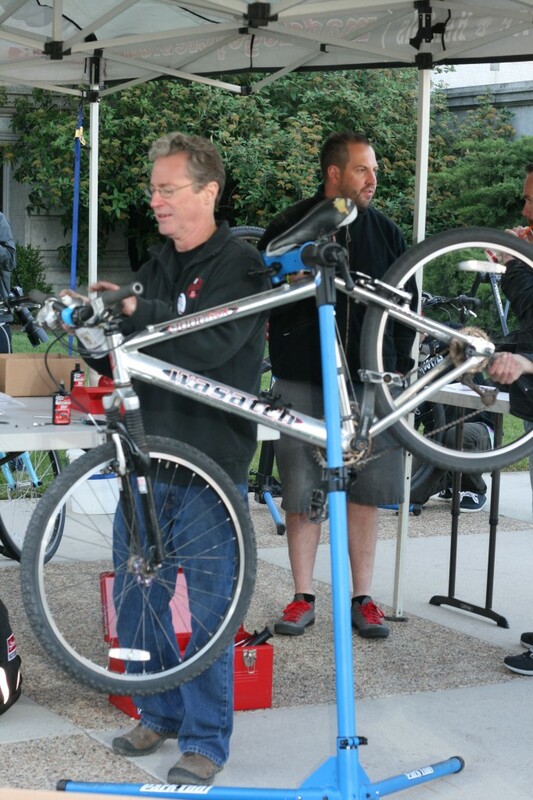 Mad Dog Cycles brought out their team to provide free tuneups, Einsteins bagels and Jamba Juice served up breakfast goodies, UTA and UDOT provided free helmets and bike law guides. Mad Dog and the Bike Collective ran a raffle for a pretty rad bike. And, of course, we had a BikeProvo.org table. 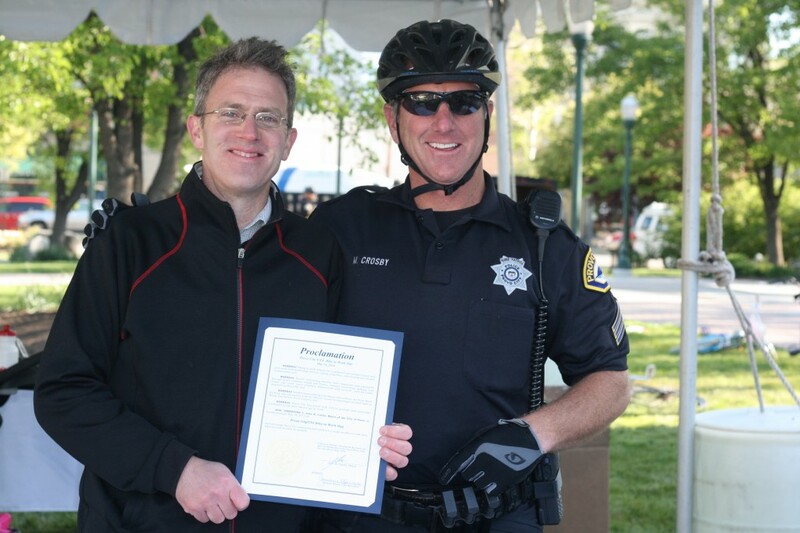 Mayor Curtis read the annual Bike-to-Work Week proclamation. A huge thanks to everyone with UTA and Provo City (especially Whitney) for organizing this event. Thanks to Mad Dog and all of the other organizations that generously donated their time. And, thanks to our police force (especially the Bike Committee’s favorite officer, Sergeant Crosby) for their efforts to make our streets safer for all modes of transportation. Remember, Bike Month isn’t over. There are lots of other swoon-worthy events coming up…including a repair class, Bike Prom, and a Bicycle Carnival. Check out what’s next on the Bike Month Calendar of events. 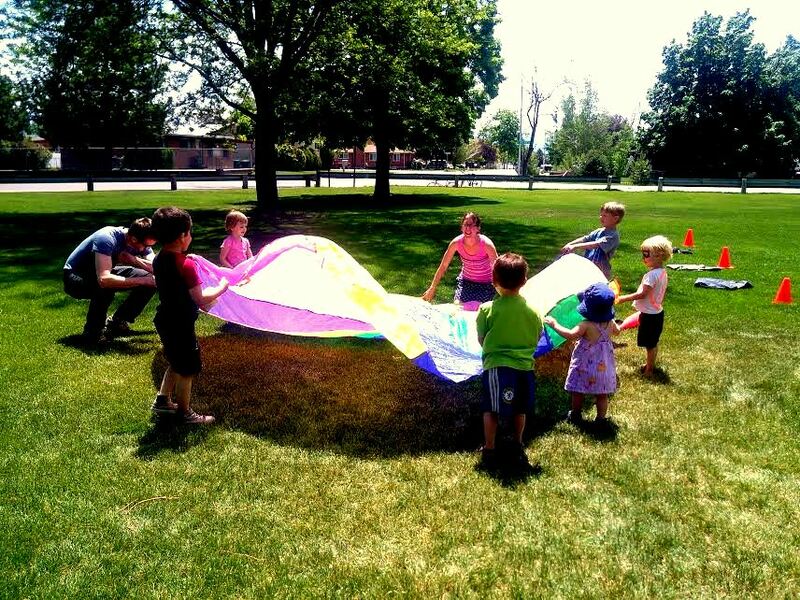 Provo Bike Month Events All Week! 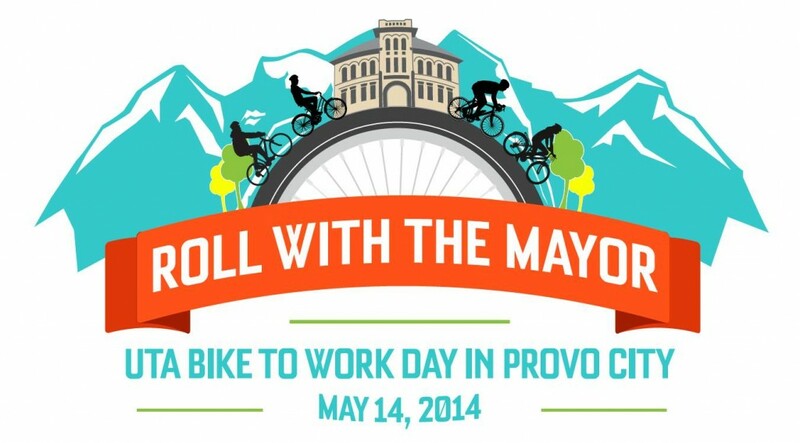 May is National Bike Month…and in Provo we celebrate in style. While there will be a lot of reporting on the events on the blog below, please keep clicking on the Bike Month link on the right of the top menu for updates on all of the events. 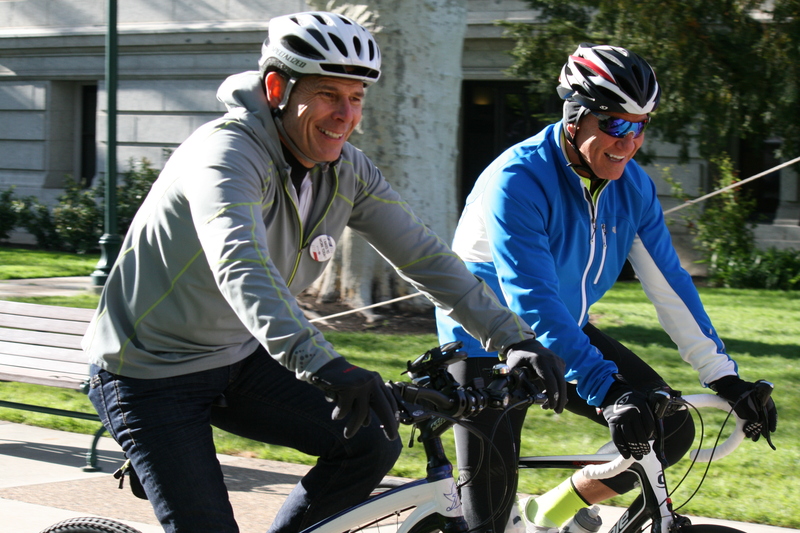 Want to ride to work with Mayor Curtis? Sip mocktails at Bike Prom? 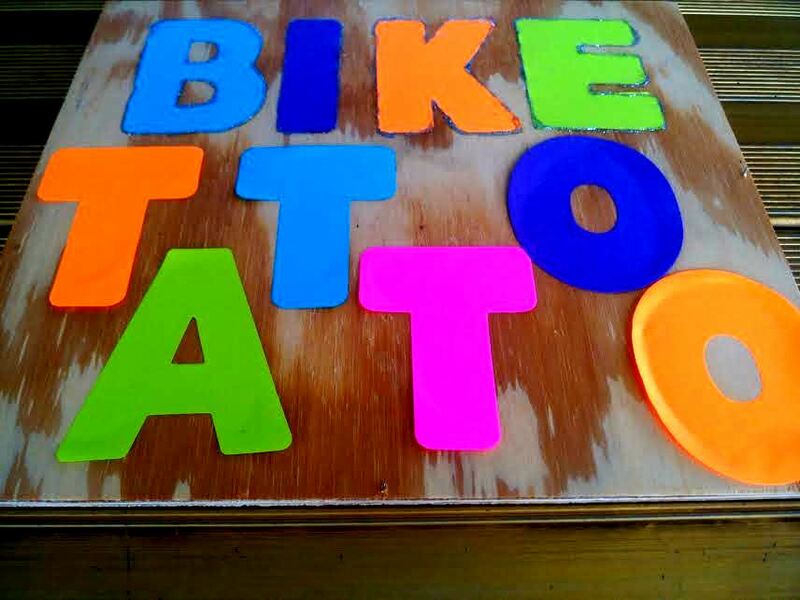 Make a bike t-shirt at the Bike Carnival? You won’t want to miss what we have in store for you this week. So, again, please KEEP CHECKING THE BIKE MONTH LINK! Also, be sure to share the Bike Month Facebook event with your friends and family. It’s going to be a month to remember. 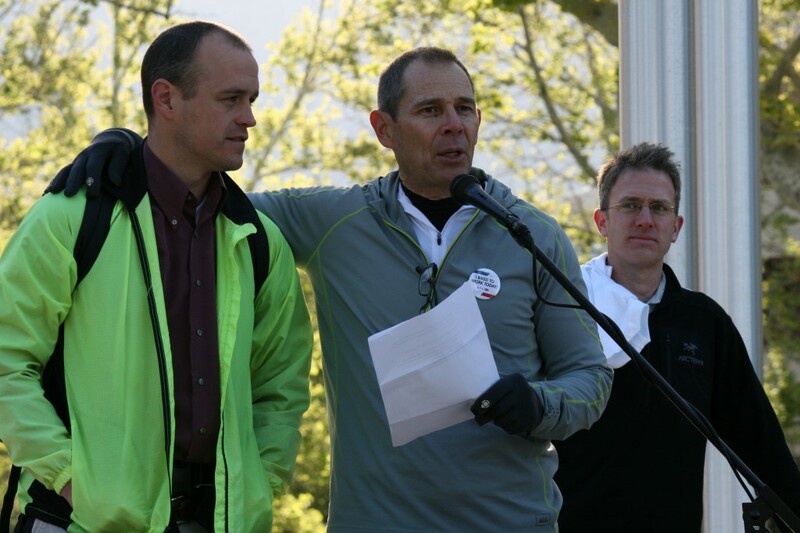 The following action alert comes from Phil Sarnoff, Bike Utah Executive Director. The League of American cyclists sent out a similar alert earlier today. 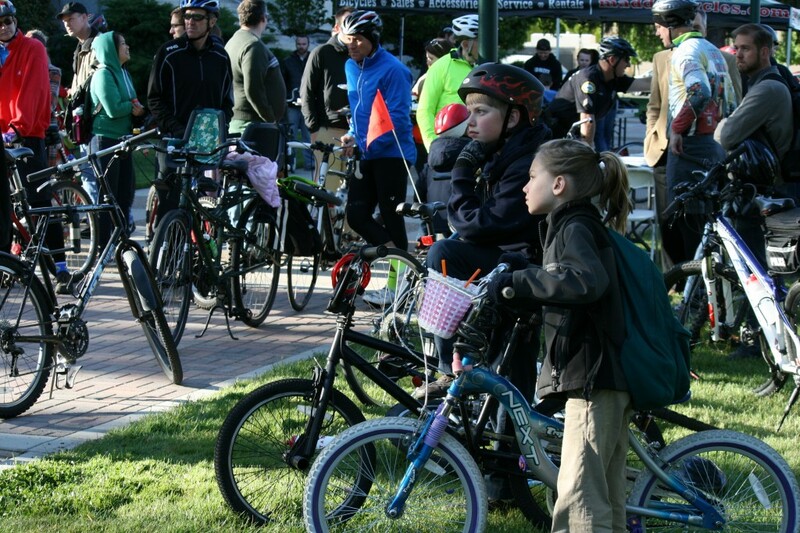 If you are concerned about this threat to local control and loss of funding for bicycle infrastructure, please TAKE ACTION TODAY OR TOMORROW MORNING by calling Senator Hatch and leaving a message with your thoughts (202-224-5251).. I know it can be scary to call (I usually take a deep breath and pace around a bit before hand…) but a personal phone call is the best way to reach our elected officials and create change. If you just can’t bring yourself to make the call (it’s okay, friend, I’ve been there too…), then please use this easy form to send an email. Our quick response to national issues such as this has a direct impact on what we are able to accomplish for Provo. We need your action TODAY. It is expected that this bill will come out on May 8th. With some a high level of certainty, Sen. Hatch has a desire to do away with the Transportation Alternatives Program, which funds many bicycle and pedestrian projects in Utah. We don’t believe Senator Hatch is reflecting the needs and desires of Utah communities in seeking to do away with the flexibility that allows our communities to fund bicycling and walking projects as we see fit. Let’s not let Senator Hatch destroy the programs that helped Utah communities become more bike-friendly. Take action today: Tell Senator Hatch you disagree with his position on transportation alternatives and you believe state and local agencies should have the freedom to make transportation investments where they see fit. Call Senator Hatch’s Office tonight or early tomorrow: 202-224-5251 If you are unable to get through then please leave a message.